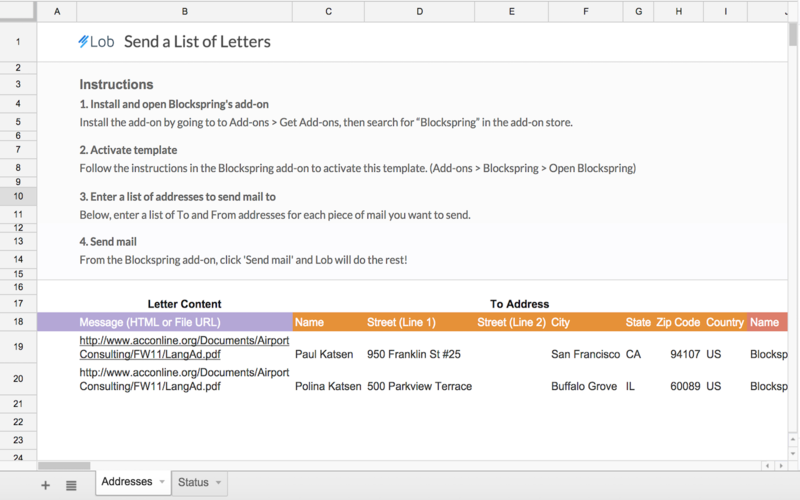 Print and mail letters right from Google Sheets. Great for businesses looking to automate direct user engagement. You'll need valid To and From mailing addresses, as well as either a PDF or raw HTML for what your mail should say.